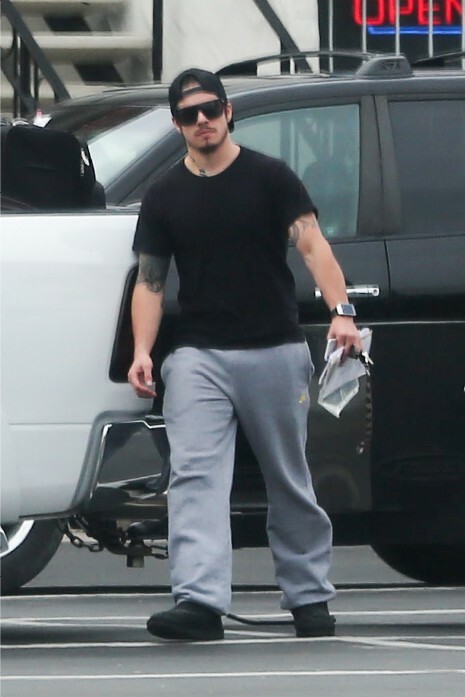 Casper Smart and Jennifer Lopez and her kids crossed the border in San Diego headed for a Mexican vacation. We wondered why Jennifer seemed so happy and relaxed for the past few months since she and Casper “split up.” Usually she’s miserable when she doesn’t have a man in her life. Recently it’s become evident that the split was only for a few weeks and they’ve been secretly together all this time. Looks like Casper has put on a few pounds since we saw him last.